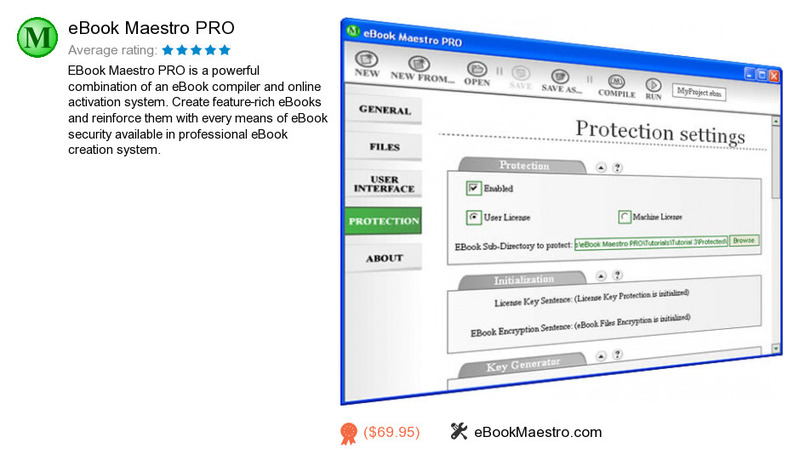 EBook Maestro PRO is a product developed by eBookMaestro.com. We know of versions 1.8, 1.5, 1.3, 1.1. Version 1.80.0.18 is downloadable at our site. EBook Maestro PRO distributive has a size of 3,148,355 bytes. EBookMaestro.com also publishes EBook Maestro STANDARD and Template Package (Flat Panel).